What's next in music happens on SoundCloud first. As the world’s largest open audio platform, SoundCloud is powered by a connected community of creators, listeners and curators who share, discover and influence what’s new, now and next in music and audio. We are looking for backend engineers to join our growing technology organisation! As backend engineers at SoundCloud, we build the infrastructure for products that music listeners and creators love. Our work often involves large-scale distributed systems, parallel computing, and data science. We actively improve our tools and processes to support collaboration and productivity. We cultivate an environment where we can all learn and grow. You have solid backend engineering skills and are motivated to work in these areas. You’re proactive and have experience collaborating closely with other teams. You enjoy crafting simple solutions to complex engineering problems and are able to communicate them to product managers. You’re an independent thinker, but thrive in a tight-knit team. You’re committed to the products you work on. If this describes you, we’d love to chat! Prior experience with microservices, JVM languages, automated testing, and continuous delivery are all highly valued. Scala is the main language we use, so you are either already proficient in it or excited to learn. Experience in technologies such as Hadoop, Spark, Kafka, and data processing pipelines is a plus. We're currently hiring for multiple teams with different missions, technologies and challenges; and we will discuss potential teams with you to figure out the best fit together. 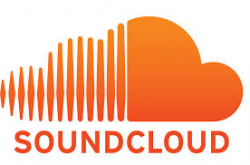 SoundCloud is an online audio distribution platform based in Berlin, Germany, that enables its users to upload, record, promote, and share their originally-created sounds.